Top of your Wii U shopping list? 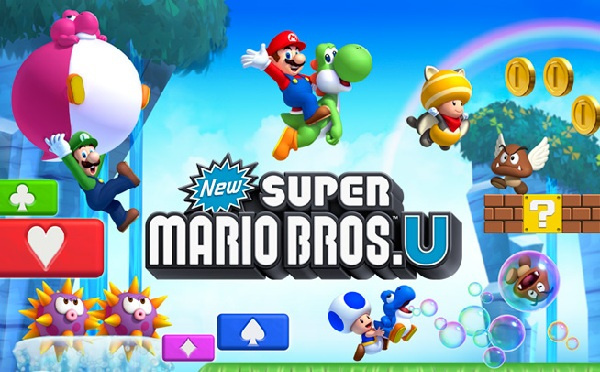 The dust is starting to settle on Wii U day and we're catching our breath, so we thought it may be a good time to catch up on some juicy new footage of Nintendo's launch day titles, New Super Mario Bros. U and Nintendo Land. As part of what's looking like an increasingly encouraging launch line-up day, these titles represent Nintendo's first foray into HD gaming, after all. 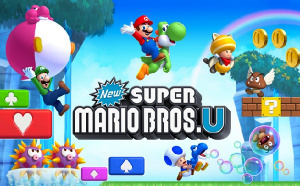 The new trailer for New Super Mario Bros. U shows Bowser's dastardly means of kidnapping Princess Peach, varied environments, as well as the new Challenge Mode and the GamePad-influenced Boost Rush Mode. 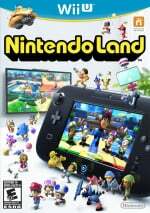 Nintendo Land's trailer, meanwhile, shows footage of quite a few events in single player, as well as co-operative and competitive multiplayer. Both videos are below, so enjoy! I have at least already 4/5 games that are must buy for me for this console, i'm talking about total range of announced games, so yep i have to get it. These two are a must have. I had already pre-ordered my Wii-U long before yesterday's announcements, but the Nintendo Direct blew me away! I'm now forced to get the ZombiU bundle(It still comes with nintendo Land, right??) 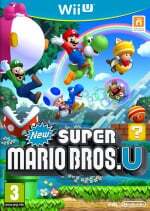 new Super Mario Bros U, Lego City Undercover and then I need to save for 007 Legends, Black Ops 2(assuming it comes with the same dlc that 360 and ps3 will get - inc Nuketown 2025) and Epic Mickey 2!! What a great list of launch window games!! I was on the fence with Wii U but I kinda want one now thanks to Bayonetta 2. I still don't want New Mario or Nintendo Land though. The new Rayaman and Zombie U would probably be the first games I get. I'm getting both of these actually. Or, well, I'm getting NSMBU while getting NintendoLand with the system. Pretty excited for both of these! I really want both of these games. Ask me that Wednesday, and I was pretty iffy on both. But NSMBU has great new modes, and Nintendo Land actually looks meatier than I expected. ii'm gettiing both. TheY both Look gReAt. I wanna play both these games. I ain't spending £250-£300 on a Wii U or £50-60 on either game to do so. It would costs me around £350 to get a Wii U with NintendoLand bundled and an additional copy of New Super Mario Bros Wii U...and that still only affords me a solely single player experience on both NintendoLand and New Super Mario Bros Wii U for that price. Yeah, these are must-haves for our family. But, so is Rayman Legends. Looks better every time I see more. Everyone see the shield cooperation stage on that one? I have a feeling Wii Fit U is going to be a must buy as well... it sort of scratches that Wii Sports itch. I still enjoy that stuff and the more physically demanding the better. Then there's Runner 2... Wonderful 101 looks VERY promising to me. Really happy that Epic Mickey 2 is coming, just because I thought it was weird not to show up on the Wii U, timing-wise, but will wait for reviews on that one. Kind of annoyed that LEGO LOTR is not coming to the Wii U. I guess that will have to be PS3 for us. You may have heard this by now, but the ZombiU bundle is NOT supposed to include Nintendo Land after all. I'm getting both of these. I'm happy that Pikmin made it into Nintendo Land. NSMBU does look a lot better than NSMB2 but the trailer still felt too familiar when NSMB2 just came out a few weeks ago. Im planning to get these two games they look great! I've never been so excited about a Mario since Mario World! I was gonna pass on both these games initially...oh so many good games..nsmbu, zombiu, rayman, fifa, batman, wonderful 101, pikmin...darn it i dont have money! I´m actually much more excited for Nintendo Land that for NSMBU, which I´m going to skip for a while to avoid 2D Mario saturation. I think I will get NSMBU for sure! Already loving that new Mario theme music.